Where is Mr. Turkey? is a book created by Lorrie Ann Harrington, a parent of a child who was diagnosed with autism in 2004 at the age of three. Since that time, Lorrie has created and used personalized books to teach her son new vocabulary, language-based concepts, and social communication skills. 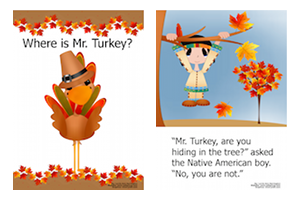 She has found that incorporating her sonâ€™s interests, as well as including photographs of him and others close to him, in the stories helps to secure his interest and enables him to stay focused and relate to the teaching topic more easily.Â Where is Mr. Turkey? (PDF) focuses on the â€œWHâ€ question â€œWHERE?.â€ This question is introduced as well as other concepts including, gender-based pronouns, punctuation, and more. Â In addition, the story is structured in such a way that it can be used to help teach children to identify, label, and categorize words, by commenting on the text and pictures. Also included for download is the graphic and text used on the â€œIâ€ page. 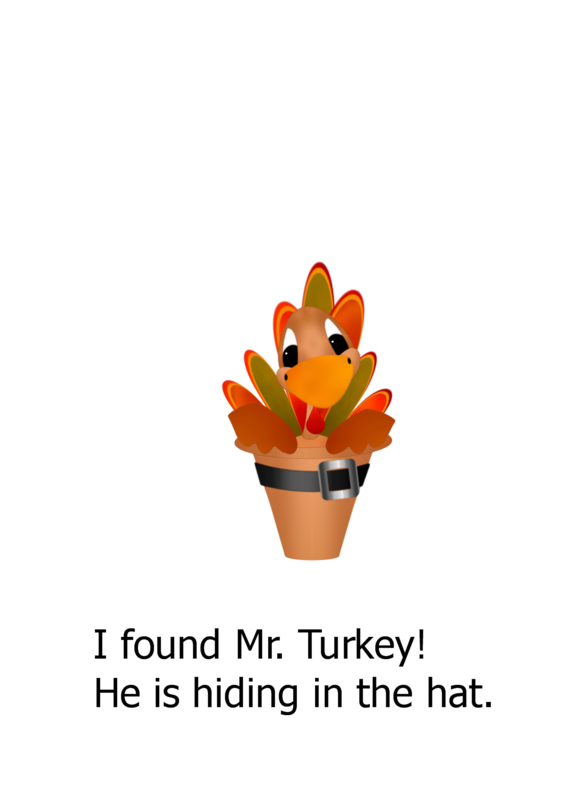 Â This additional download can be used to personalize Where is Mr. Turkey? for your child or student.